Our usual weekend ritual these days is to go out for lunch mainly on the west side of Melbourne (with a bit of Richmond thrown in). Some weeks we go Thai, others Vietnamese...just depends on how we feel on the day. This weekend we went to Footscray. 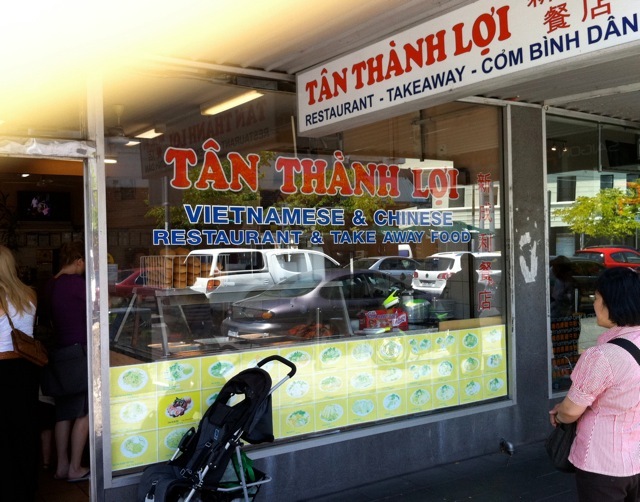 Not only is there an abundance of great Vietnamese restaurants in Footscray but we also do love the Little Saigon Markets. These markets are full of fresh produce and they also have a great array of Asian condiments, groceries and desserts. They also have little tasting plates in front of most of their fruit so you can sample the produce. So this weekend we were a bit undecided about where to go to eat.....we discussed our regular options until Andy mentioned that there was one around the corner from Little Saigon that he would like to try. We walked across the road to Tan Thanh Loi and this place was packed - not a table in sight. Great we thought, we will wait (even with a 2 year old in tow). After only a few minutes wait a table opened up for us. After scanning the menu we decided on Mi Vit Tiem (steamed Duck soup) and Com Ga Da Don (crispy skin chicken with rice) which is an old favourite. 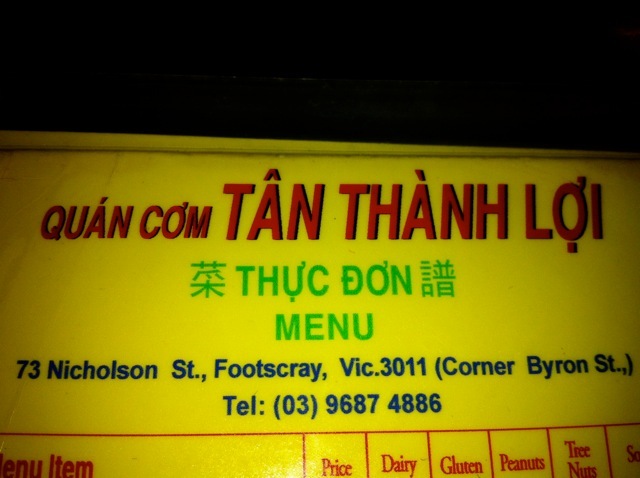 Andy actually wanted Bun Thit Nuong Nem Nuong (Rice vermicelli with grilled pork and meat balls ) but this was sold out! 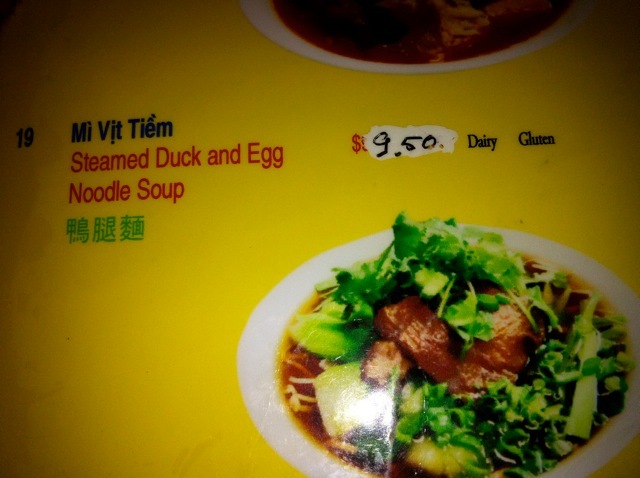 Mi Vit Tiem (steamed duck) was delicious. 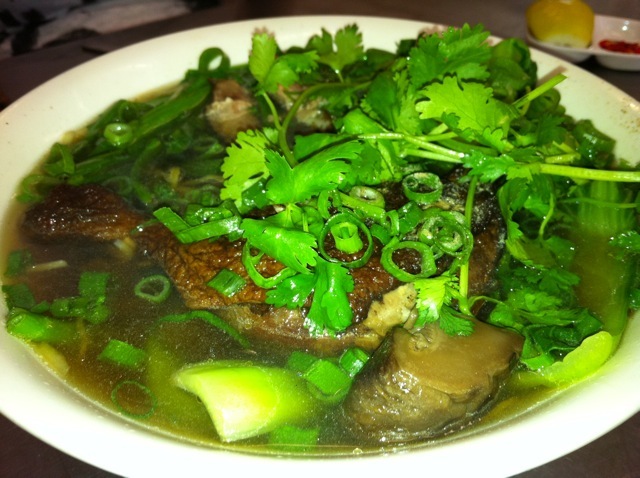 The broth was very light and tasty and the duck was beautifully cooked. I was given a duck maryland and the skin was lovely and crispy and the meat just fell off the bone - just the way I like it. I was in duck heaven. I do love duck and when it is cooked well it is so lovely! This soup also came with loads of spring onion tops, bok choy (I am not the biggest fan of bok choy it is too watery or something for me) and an abundance of coriander which was awesome! 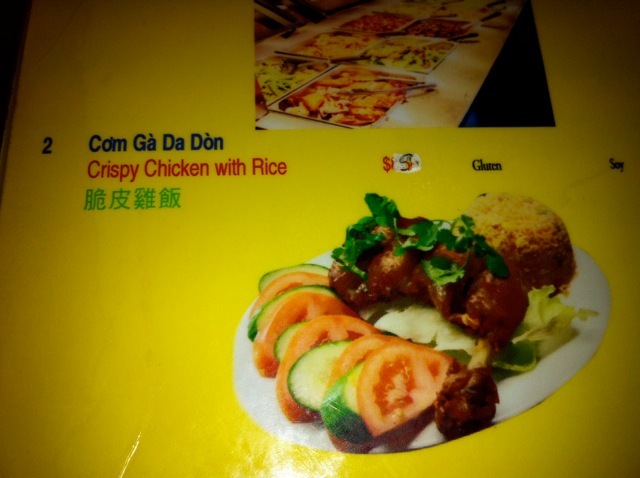 The Com Ga Da Don (crispy skin chicken) was nice but not the best I have had. I still enjoyed it but I may order something else from this restaurant next time I visit......or maybe I will just order more duck!!!! 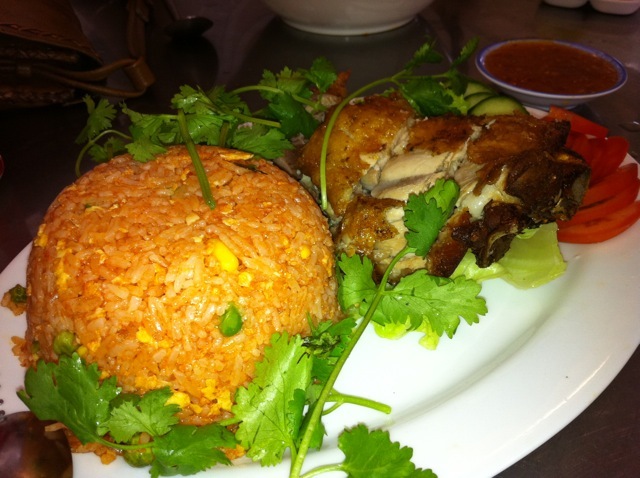 The fried chicken was fantastic, maybe not quite as good as the version from Tan Truc Giang. I love the way they somehow get the skin so crispy while at the same time keeping the flesh so moist and juicy. My guess is that the chicken is poached first then fried? The highlight of this dish is the fantastic sweet chilli sauce that it comes with, the little bowl they give you just never seems to be big enough! It's somehow richer that the stuff you buy in the bottle, another item to add to my "I wonder how they make that" list.